I made these for dinner and HOLY CRAP they were yummy! I was excited about it for hours after dinner was over. 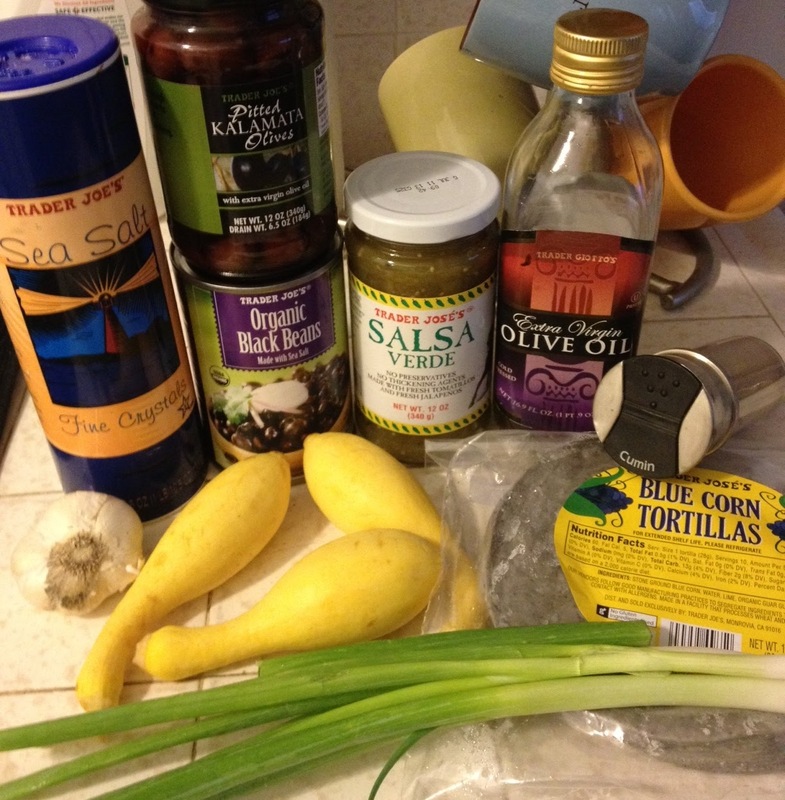 I used the recipe from Appetite for Reduction by Isa Chandra Moskowitz, but I tweaked it slightly by using yellow squash instead of zucchini, leaving out the jalapeno (the husband isn’t a huge fan of spice) and coriander (just didn’t have it) and adding more garlic. 1. Heat oil in large skillet. Chop squash and olives into bite sized pieces and mince garlic. 2. Saute squash with salt for 5-7 minutes. Add garlic, olives and cumin and saute for another couple minutes. 3. Add beans and salsa verde and continue to cook until salsa verde cooks down a bit.